Hello and happy Friday! Today I am thrilled to be joining my friend and super talented card maker Marcie Sharp! I love Marcie's clean, beautiful style. Her cards always have the perfect amount of stamping and accents. It is an honor to be joining her today! 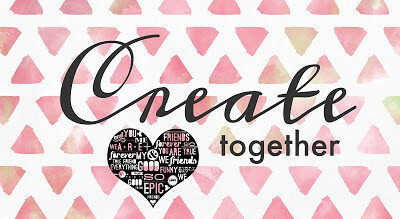 To create my card I used the beautiful Stampin' Up! set "Watercolor Wings" and a sentiment from the SU set "Garden In Bloom". 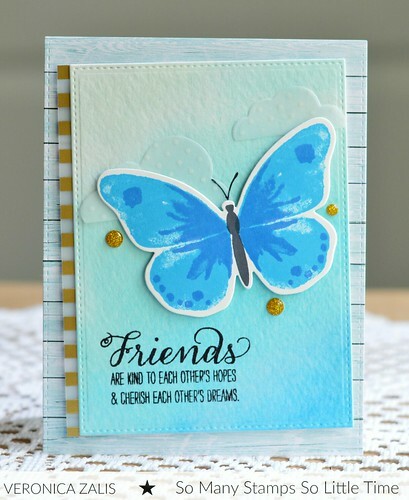 I stamped my butterfly using MFT Lush Lagoon and Cornflower. The watercolor background was created using the same colors. I am so glad to have had the opportunity to work with Marcie, and I hope we have inspired you to create something beautiful today! Such a pretty card! The colors and touches of gold are just lovely. Gorgeous! Love that bold butterfly and the gold accents! Hi! I'm commenting on your blog! This card is lovely - just like YOU, my friend!